Those who still do not know SoKool's tracks must have been doing something wrong in the past year! 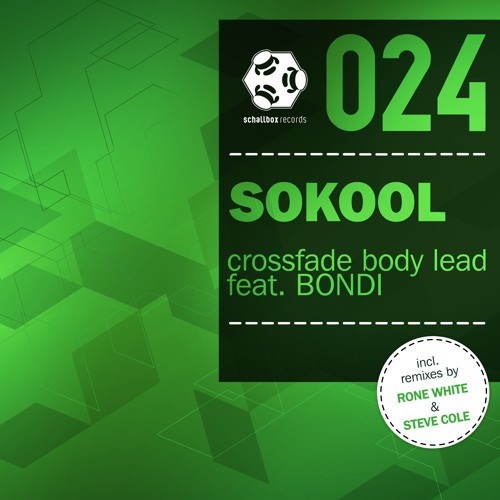 The boys are on Schallbox now, and are supported by BONDI on the title track: Crossfade Body Lead! The second track "Aurora" also delivers without a doubt. Fat beats, and floating hooks and a feeling that only SoKool can evoke. Rone White weaves his and unmistakable groove into "Crossfade Body Lead" and Steve Cole transforms "Aurora" into an epic musical delight. As usual, the new Schallbox024 release is as versatile as a swiss army knife! Simply Schallbox!